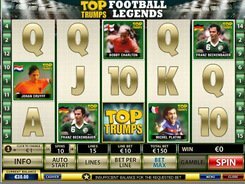 Football Legends slot is a part of the Top Trumps series developed by Playtech. This five-reel fifteen-line game is fun-packed and very easy to play. 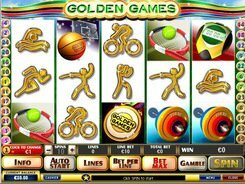 The slot has brought together a host of legendary footballers, including Franz Beckenbauer, Michel Platini, Alfredo Di Stefano, Johan Cruyff, Bobby Charlton and other top-tier players. 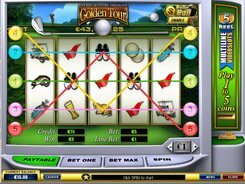 The game is abundant with bonus features: free spins, a gamble mini-game, scatters and wilds. The Top Trumps logo acts as a scatter. 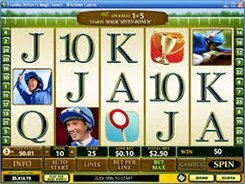 Those three or more scattered in any position start 10 free games. Pele is a wild symbol. Five icons of this revered Brazilian footballer landed on a payline bring you a 10,000-coin jackpot. 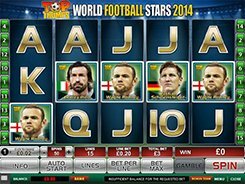 The slot offers the Wall of Fame Bonus feature where you must pick iconic footballers to receive a cash prize. The lowest and highest denominations of a coin are $0.01 and $5, respectively. The top bet reaches $750, and the jackpot award is 10,000 coins. PLAY FOR REAL MONEY!